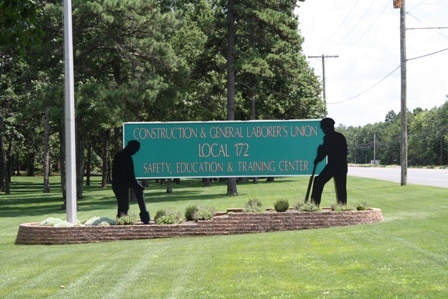 Within the 9-county region of Southern New Jersey, contractors, developers and construction workers have come to rely of Laborers Local 172 SET to meet their training needs. Through our industry recognized programs, Local 172 SET has set the standard of excellence in providing workers nationally accredited and recognized safety and skills training. Each year, thousands of Union Laborers expand and improve their skills at our 20,000 square foot state-of-the-art training center in Folsom, New Jersey or one of our satellite training facilities. As a service to contractors and members, we also offer a mobile classroom, Trainer One, which can deliver safety instruction on-site at a time convenient to you. Local 172 SET is a labor-management partnership between the Laborers’ International Union of North America and its signatory contractors. Laborers Local Union 172 represents the heavy, highway and general construction industries as well as several manufacturing plants, all located in Southern New Jersey.